Nick and Graham again welcome Ethan Moses of Cameradactyl and Butter Grip (https://www.cameradactyl.com/) to discuss Industrial Design and the elements of a camera that make it “work” for the user. The meat of the discussion starts after the first musical interstitial (7:45) with an overlong monolog from Graham. Happily, Nick and Ethan rescue him with insight and mockery. The Konica Autoreflex TC, a camera that has been noted as a camera that is not good for left-eye-dominant individuals but somehow works for people with larger noses. Somehow, Vera Wang works her way into the design. The Volkswagen campaign from the 90s, Fahrvergnugen (https://www.youtube.com/watch?v=CESVgaeD-nI) works its way into the discussion as well. The concept of the left-side shutter release is discussed (21:55) in a way of attempting to break the right-hand dominant design from running the world for lefties. Graham brings up Prime Suspect Tenneson (https://www.pbs.org/wgbh/masterpiece/shows/prime-suspect-tennison/) and their photographic gaff (39:45) and how the knowledge base of how to design film cameras in the digital age is leaving the population. The concept of the Material Is The Message is talked about (51:30) along with the surfaces of cameras like leather, plastic, rubber, etc. Nick brings up the concept of authenticity of materials. Sometimes a lack of leatherette is better than the original covering. Durability of materials and planed lives of cameras designed today is considered (1:05:00). The appropriateness of materials and form are discussed at 1:09:45 and the concept of the machine looking like other machines in the category is important for consumers to recognize what the purpose of the machine is. All three hosts jump on the Coal-Rolling Idiots of America (https://www.youtube.com/watch?v=_gcb84qn3mU) (1:14:00). If you happen to be one of them, please accept our apologies for denigrating your self-worth. 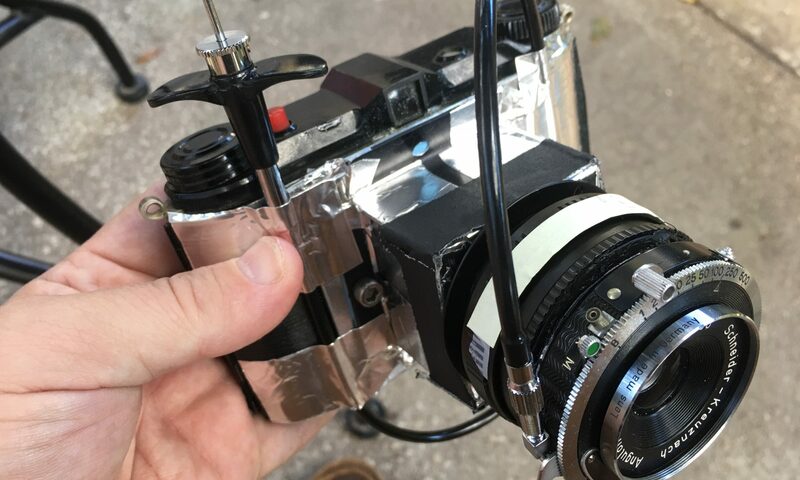 Witness the birth of a camera (1:42:00) as Nick and Ethan hash out a design for a camera that takes an existing lens-shutter system and then schedule the development. Graham talks about micro drills (https://smile.amazon.com/gp/product/B0195V3J98/ref=ppx_yo_dt_b_asin_title_o01_s00?ie=UTF8&psc=1) (1:58:00). A show about adapting lenses for purposes other than which they were designed. No show notes this week. I forgot to make the notes as I edited. Sorry about that.